RIP brother in Blue. Prayers to you and your family. Thank you for your service and sacrifice. May the Lord be with both of them God bless them and the families and there brotheran who are hurting right now God what a senseless act Lord help us all. Truly, Truly, Truly heartbroken over the death of this Hero Officer Wenjian Liu. Praying for the family and the NYPD!!! ST MICHAEL PRAY FOR US. REST IN PEACE TAKE YOUR PLACE ON YOUR NEW BEAT ON HEAVEN'S STREETS. Oak Lawn, IL. Police Dept. My heart goes out to Officer Liu's family and the family of the NYPD Police Dept. So senseless, so tragic. I am so sorry for your loss. May the Lord protect all of you and grant peace to Officers Liu's family. Take your rest... we have the watch. My heartfelt prayers go out to the Ramos and Lui families during this difficult time. To my NYPD family, be safe. God speed brother. May you, your family and your fellow NYPD brothers in blue find peace. Rest in peace my brother. Please be advised that the perp did the right thing. Justice was served. May you and your partner rest in eternal peace and may God provide comfort and safety to your families and all the Officers of the New York Police Department. Thank you Officer Liu for your years of hard work and dedication and for paying the ultimate sacrifice for the fine folks in the great state of New York. You are a true AMERICAN HERO !!!!!! My thoughts and prayers are with your family, friends and co-workers. May you forever, rest in peace, my brother. 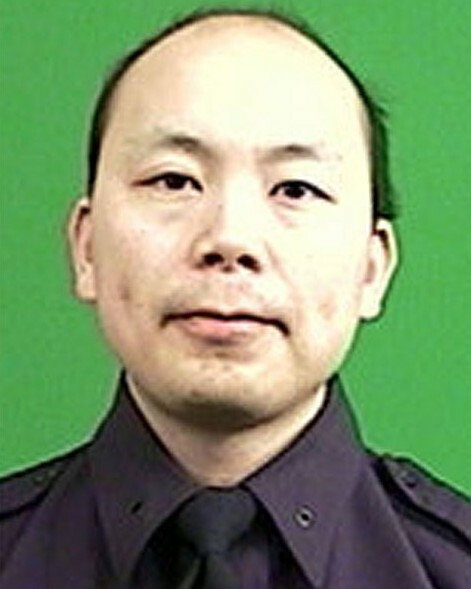 May Ofc Liu Rest in peace and may God grant his family and friends strength during this terrible time. May all MOS stay safe. This is so very senseless. Thank you Officer Wenjian Liu for your dedicated service, you have made a positive difference and we will not forget the ultimate sacrifice you made for the rest of us. “There is no greater love than to lay down one's life for one's friends.” (John 15:13 on National LE Memorial). May you rest in peace, we have your six. God bless Officer Liu's family, friends and coworkers and give them strength and peace to get through their grief and pain. Thank you for your service brother. RIP brothers... We will take it from here..
Bless those who have fallen given their life for another. God bless my family when I am away. Rest in Peace with God. I know he is watching over you tonite. my prayers go out to your families and friends. Much respect,R.I.P. Brothers in blue. Blessed are the peacemakers: for they shall be called the children of God. May you rest in eternal peace. Rest in peace. May God Bless you and your families and the NYPD. My condolences to your families and may you rest in eternal peace. Godspeed!